Jaclyn Lattanza is the club’s 2012-2013 Treasurer. 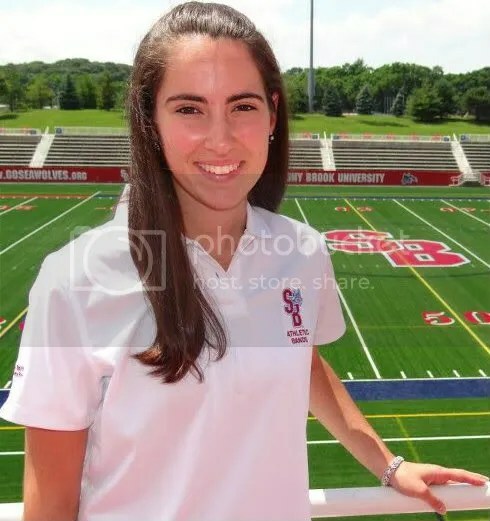 Jaclyn is a sophomore at Stony Brook, and is studying Journalism. This will be her third semester with the club. The role of treasurer is to manage the club’s budget and fees. Because the club is still starting up, a lot of money is put into the club through league fees, coaching fees, travel expenses, equipment costs, etc. and the treasurer determines the costs of the necessary investments and maintains a detailed record of all monetary proceedings.